Disclosure: a complimentary stay at Hyatt Regency Bellevue and brunch at Eques were provided by Hyatt Regency Bellevue. All opinions are my own! For the 3rd night of Fashion Week at the Bellevue Collection, the Hyatt Regency Bellevue (where all the fashion shows were taking place!) generously offered me a room to stay in. After driving back and forth to Seattle for Days 1 and 2, I so appreciated the opportunity to stay right on site after the Front Row Fashion Show presented by Vogue. This, of course, also meant being able to fit in some of shopping at The Bellevue Collection and a Sunday brunch at Eques (best brunch in Bellevue!). 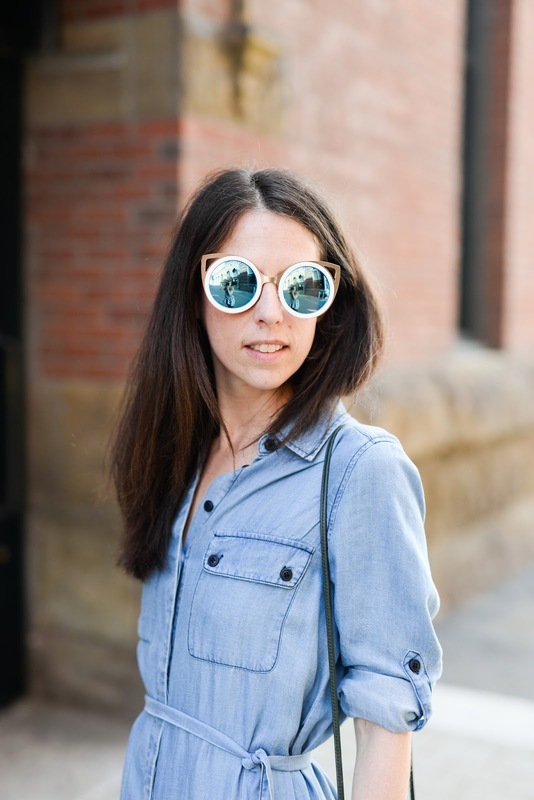 A perfect weekend of fashion! 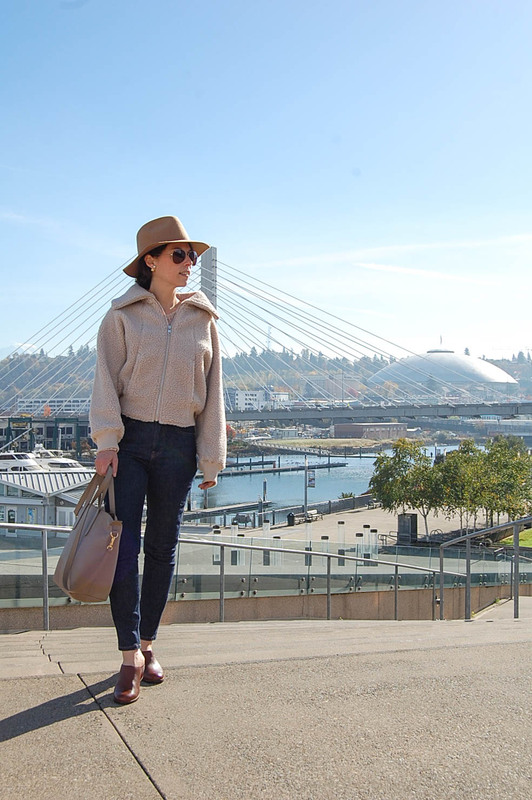 The Hyatt Regency Bellevue is conveniently located in downtown Bellevue, perfect for a visit or staycation during Bellevue Fashion Week. The 732 room hotel offers complimentary in-room wi-fi (so clutch for those Instagram posts and snapchats after the shows), a 24 hour 7,000 sq ft fitness center, and quick access via skybridges to 250 top retailers at The Bellevue Collection! The perfect place to #treatyoself! The Front Row Fashion Show presented by VOGUE was definitely a highlight of this year's Fashion Week at the Bellevue Collection (I mean the swag bag alone was A-M-A-Z-I-N-G . . .). With a sold-out crowd full of Saturday night energy, we took our seats with bubbly in hand, as Vogue presented fall trends straight from the pages of the magazine down the runway. Hosted by VOGUE Market Stylist Cara Crowley, the classic, bold and modern looks featured items all available at The Bellevue Collection (and yes, I definitely bought that Zara floral long sleeve dress in Look Six). With 100% of ticket prices from the Northwest's premier fashion event benefitting Seattle Children's Hospital, courtesy of The Bellevue Collection; this was yet another case of where doing good definitely never goes out of style! It was the perfect 3rd night of Fashion Week at the Bellevue Collection. I left so inspired, a bit exhausted, a tiny bit tipsy and looking forward to pizza (my fiance was oh so sweet to go pick up my favorite - cheese only please) and perhaps one more glass of bubbly in our hotel room. For coffee, we visited the Regency Club Lounge where a continental breakfast is served to Regency Club guests every morning. We were able to choose our favorite coffee drink (hello Americano!) and if we hadn't been set to eat brunch at Eques shortly I would have definitely grabbed from the breakfast bar, it looked so good! After relaxing in our room for a bit and enjoying the amazing view, we headed downstairs to Eques. Known for the "best brunch in Bellevue", this was my first time checking it out and as someone who's favorite meal is Sunday Brunch, well, I was pretty much jumping up and down in anticipation. The award-winning Eques was seriously so good. I chose the breakfast buffet and opted for a variety of pastries, fruit, yogurt, granola and juices. And yes, I did make multiple trips. Think waffles many ways, omelette bar, quiche and more! With locally, sourced seasonal ingredients, this will definitely not be my last visit to Eques! It was such a lovely brunch and such a fabulous overnight stay at Hyatt Regency Bellevue. After 3 days of Fashion Week at The Bellevue Collection, I was (not quite, but def) ready to head home to West Seattle and see our Kitty's. We had planned to visit the Bellevue Art Museum, which is literally right next door to all the Bellevue Fashion Week action, but decide to postpone our visit for another weekend of Bellevue Fun. A huge thank you to The Bellevue Collection, Hyatt Regency Bellevue and Eques for a fabulous first experience at Fashion Week at the Bellevue Collection. Can't wait for next year! 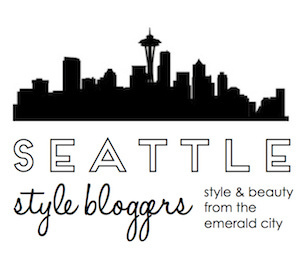 Don't miss my recaps of Days 1 & 2 of Bellevue Fashion Week!